Cinnamon is an ancient spice that is widely used in modern times due to its amazing flavor. Today, cinnamon is one of the world’s most popular spices, sprinkled on lattes; indispensable at Thanksgiving; and awesome on French toast. Much like salt, cinnamon is an ingredient that, while often taken for granted, adds depth of flavor, inviting warmth, and multi-faceted dimension to our food. Cinnamon has a long history and an abundance of uses. Let’s learn more. The website, Cinnamon Vogue, is a one-stop shop for information about the spice. The site explains that the cinnamon tree is a tropical evergreen, the parts of which can be broken down and used for an assortment of purposes. The bark from the tree can be rolled into sticks that can be used in stick form or ground into cinnamon powder – the most widely used form of cinnamon. The leaves of the cinnamon tree can be steamed and distilled into oil, and the bark can be further broken down into chips (to throw into a fireplace, for instance). All cinnamon trees – and there are a number of species – are members of the genus Cinnamomum in the Lauraceae family, although not all of the species are grown commercially. Cinnamomum verum is sometimes referred to as “true cinnamon” (more on that controversy later), but most internationally produced cinnamon is called “cassia.” The world’s supply of cinnamon is largely provided by Indonesia and China, which together produce about 75% of the global supply of the spice. Cinnamon was very popular in Europe in the Middle Ages and high demand was one of the reasons that Christopher Columbus sought an alternate (and ultimately misguided) route to the East Indies. Cinnamon has been used in Ayurvedic medicine for centuries to treat respiratory and digestive problems. 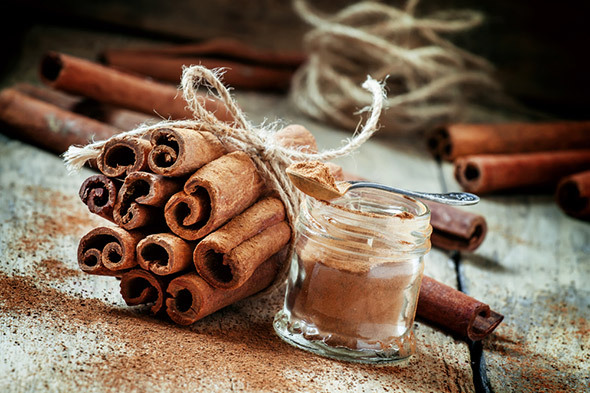 The Bible mentions cinnamon several times, most commonly as an anointing oil and, as early as 2000 B.C., ancient Egyptians used cinnamon as a perfume during the embalming process. Evidence suggests that Arab traders brought cinnamon to Europe, transporting it via arduous land routes, resulting in a limited, expensive supply that made the spice a status symbol in Europe. To maintain their monopoly on the cinnamon trade and to justify its high price, Arab traders refused to divulge the origin of the European cinnamon supply. However, demand remained high for the expensive spice and Spanish explorers set out to find it in the New World, albeit unsuccessfully. Finally, around 1518, Portuguese traders discovered cinnamon in Ceylon (present-day Sri Lanka), conquering the island and gaining control of the cinnamon trade for more than 100 years. Ceylon – and its valuable product – changed hands a few more times and, by the early 1800s, cinnamon was no longer an expensive and rare commodity. Ceylon and cassia cinnamons have slightly different health properties, as their essential oil ratios are somewhat different. However, cassia contains coumarin, which can be toxic in excessive quantities. Cassia cinnamon is a very rich source of coumarin, containing about 1 percent coumarin, while Ceylon cinnamon contains only 0.004 percent, a virtually undetectable amount. It is safer to choose the more-expensive Ceylon if you use a lot of cinnamon, as just one to two teaspoons a day of Cassia cinnamon could bring someone over the daily limit. The distinct smell and flavor of cinnamon is due to the oily part, which is very high in a compound called cinnamaldehyde, which is responsible for most of cinnamon’s powerful effects on health and metabolism. Cinnamon is loaded with antioxidants, which protect the body from oxidative damage caused by free radicals. In a study that compared the antioxidant activity of 26 spices and other foods, cinnamon outstripped a number of “superfoods,” like garlic and oregano. Cinnamon’s antioxidants also have anti-inflammatory properties that help the body fight infection and repair tissue damage. Cinnamon has been linked with reduced risk of heart disease, and it has been shown that just one gram of cinnamon a day has beneficial effects on blood markers. It reduces levels of total cholesterol and triglycerides, while HDL cholesterol (the good cholesterol) increases or remains stable. Cinnamon is also well known for the way it lowers blood sugar and the resulting anti-diabetic effect. There is evidence that the spice can help decrease the amount of glucose that enters the bloodstream after a meal by interfering with certain digestive enzymes and slowing the breakdown of carbohydrates in the digestive tract. Finally, studies indicate that cinnamaldehyde, the main active component of cinnamon, may help fight various kinds of infection. In Mexico, “true” cinnamon is used to flavor hot chocolate, while in the United States cinnamon is mainly used in baked goods, though you will find it in some recipes for savory dishes. It is an important ingredient in Middle Eastern cooking and in Indian curries. Cinnamon sticks are commonly used to flavor hot mulled drinks and add a wonderful aroma to potpourris. Cinnamon is widely used as an ingredient in cakes, pies, cookies, cobblers, puddings, and other desserts, and it can be sprinkled on cereal, breads, muffins, and more. More than 40 years ago – in 1976 – the legendary New York Times food editor Craig Claiborne offered readers a sublime recipe for Rugelach (a.k.a. butter horns). 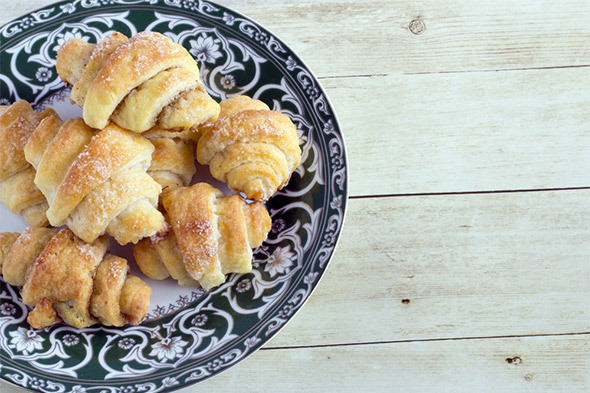 With a full teaspoon of cinnamon (and more butter and cream cheese than you can imagine), these pastries are beyond divine and worth every ounce of effort they require. Prepare the cream cheese pastry and let it chill overnight. When pastry is ready for use, preheat the oven to 375 degrees. Divide the pastry into 8 equal portions. Roll out one portion at a time into a circle. Brush each circle after it is rolled with a little butter and sprinkle with part of the walnut mixture. Cut the circles into eight triangular wedges and roll. Start rolling from the large side of each wedge toward the tip to enclose the filling (a little of it may fall out). Bend the rolls slightly to make a crescent shape and, as they are rolled arrange them on a buttered baking sheet. When the baking sheet is full, brush the rugelach with melted butter. Place the rugelach in the oven and bake 15 to 30 minutes or until nicely browned and cooked through. Combine the butter and cream cheese in the bowl of an electric mixer and beat until creamy. Add the eggs and beat in one at a time. Beat in the salt. Remove the bowl and add the flour gradually, folding it in. When the pastry dough can be worked with the hands, continue adding the flour, kneading with the hands until it can be rolled out. Add only as much flour as needed to make workable dough. Shape into a ball and chill overnight or at least two hours. Use the pastry dough as necessary, rolling it on a floured board. 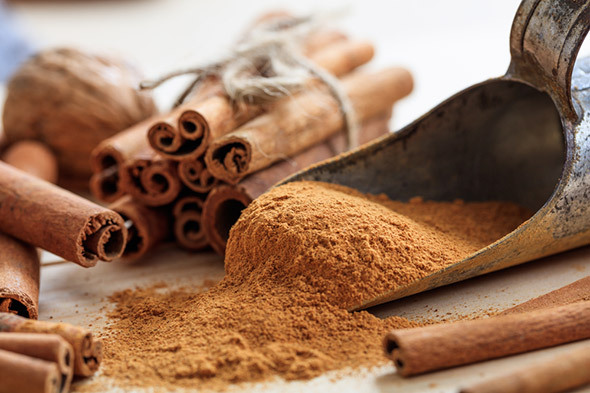 Despite the great Cassia-Ceylon controversy, the bottom line is that cinnamon is one of the most delicious and healthiest spices on the planet. It can lower blood sugar levels and reduce heart disease risk factors, and it has loads of other impressive health benefits. The fragrance that is released when cinnamon-laden delicacies are baked in the oven is nothing less than intoxicating. And, perhaps best of all, you can use cinnamon’s health benefits as an excuse to the make The World’s Greatest Rugelach. Enjoy! This entry was posted in Food Guides, Recipes and tagged cinnamon, health, healthy, recipes. Bookmark the permalink.